Please notify use as soon as possible at 907-523-5962. Early notification can help us better accommodate you and other patients. Please wear comfortable clothing and shoes. Leave all jewelry at home, including body-piercing jewelry. It is important to refrain from eating and/or drinking prior to surgery in order to prevent the risks of aspirating gastric contents during the procedure. This complication is very serious and it is important to strictly abide by our recommendations. Some medications should not be taken prior to your procedure. Please discuss all of your medications and supplements with our nurse at your pre-op appointment. Special instructions may be given for those taking diabetic medications, blood thinners, and inhalers. You should bring these medications with you the day of surgery. Please feel free to call our office if you have any questions or concerns. Herbal medications may have harmful effects on the procedure. Many of these remedies may affect your clotting mechanism and interfere with the sedation medications. (The list of drugs and their side effects are under the forms tab on this website.) We generally request that you stop these medications two weeks before surgery. Please remember to mention these remedies when being asked about medication. You may have one responsible adult accompany you to the Center and wait for you in the waiting area by our front desk. 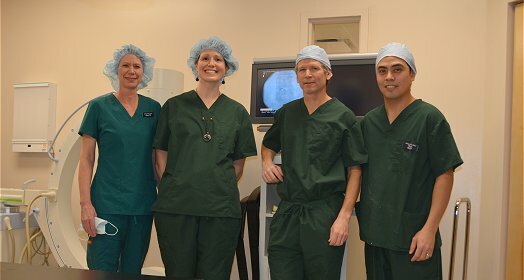 If you would like to have someone with you in the recovery room after the procedure, please speak to one of our staff. Please refrain from bringing young children to the Center. Sedation may be provided and will be determined by the physician on an individual basis. Questions about sedation during the procedure should be discussed with our medical staff. If you are feeling anxious about the procedure, please let us know so we talk about your options. Yes. We call you before the surgery to gather information and answer any of your questions. Preoperative instructions will be given. If you have any questions, please call the Southeast Alaska Surgery Center. Yes. It is important that you practice good hygiene before your procedure. Shower, bathe, and brush your teeth. Please do not put on any makeup, lotions, perfume, or nail polish. If you are not feeling well, you may need to reschedule your procedure. During normal business hours, you can call the Center for advice. We need to know specific details to make the decision. Please do not delay in contacting your doctor or the Southeast Alaska Surgery Center. It is very important for us to be aware of this possibility. Because of the use of fluoroscopy, we do not perform procedures on pregnant patients. If there is any doubt, please contact us immediately. Any patient receiving conscious sedation is advised not to drive until the next day. If you receive conscious sedation during your procedure, you need to have someone else drive you home. If you don�t receive sedation, you may drive home after a short period of observation. We recommend that all patients plan to have a responsible adult ready to drive them home after their procedure. Patients receiving conscious sedation should not plan to drive or operate machinery until the day following their procedure. If you plan to take public transportation or hotel shuttle after receiving sedation, please discuss this with the nurse at your pre-op appointment. Copyright � 2014 Southeast Micro Consultants All Rights Reserved.